Transform your daily skin care routine into an invigorating 2-minute ritual. 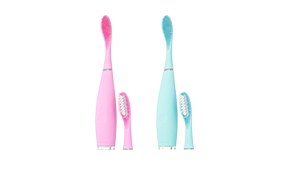 In just 3 days, LUNA face scrubbing brush and massager will bring you skin that appears visibly healthier and more radiant, and continued use will leave your skin looking enviably younger and smoother. The unique combination of T-Sonic™ pulsations with silicone touchpoints gently exfoliates dead skin cells and unclogs pores of makeup residue as well as 99.5% of dirt and oil, enhancing the absorption of your other skincare products. 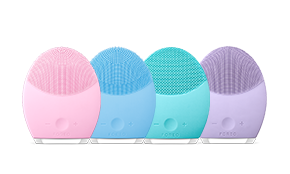 In its one-of-a-kind Anti-Aging Mode, LUNA facial brush channels lower-frequency pulsations that, when applied to wrinkle-prone areas, reduce the visibility of fine lines and wrinkles to reveal skin that looks firmer. 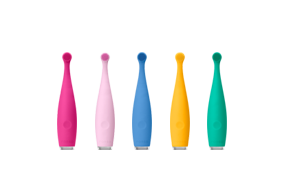 LUNA sonic facial brush and anti-aging device comes in 3 different models, with cleansing brushes tailored to specific skin types. 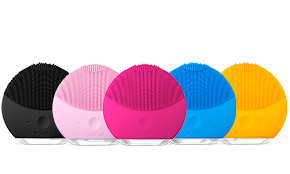 Thanks to the 8,000 T-Sonic (transdermal sonic) pulsations the LUNA channels every minute, its silicone cleansing brush delivers effective deep cleansing that remains gentle on the skin. 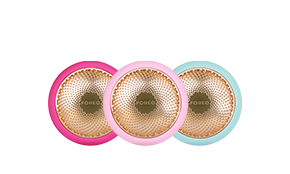 LUNA’s cleansing brush is made of rounded silicone touchpoints that glide across the face, making it gentle enough for daily use and delivering nonabrasive cleansing that feels amazing on the skin. 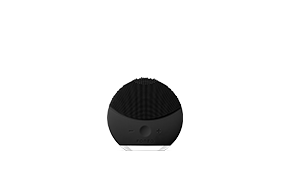 Made of quick-drying, nonporous silicone that resists bacteria buildup, LUNA is, by far, the most hygienic way to cleanse your face as it is up to 35X more hygienic than standard sonic-cleansing brushes. LUNA directs lower-frequency pulsations through its anti-aging surface of concentric silicone ridges directly onto wrinkle-prone areas, smoothing and firming the appearance the skin. Representing excellent value, LUNA doesn’t require replacement brush heads and comes with a 2-Year Limited Warranty and a 10-Year Quality Guarantee – your skin will thank you in the long run. 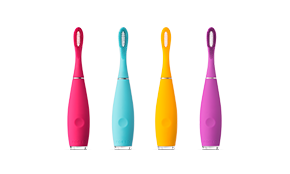 Completely waterproof for use in the bath or shower and with 8 speeds, LUNA is lightweight, easy to carry and each full charge lasts up to 450 uses, making it perfect to take on the go or on holiday. Apply your regular cleanser. Wet LUNA and activate its Cleansing Mode. 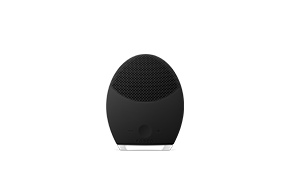 Gently move LUNA's cleansing surface in circular motions over your face for 1 minute. Activate LUNA's Anti-Aging Mode. 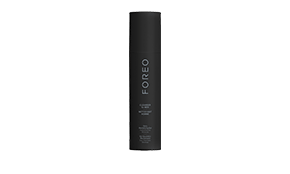 Press its anti-aging surface onto wrinkle-prone points for a total of 1 minute.